Many people believe “between” should be used for choices involving two items and “among” for choices that involve more than two items. However, it’s not that simple. 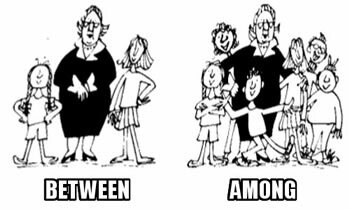 Here’s the difference: you should use use the word “between” when you are talking about distinct, individual items even if there are more than two of them (e.g. She chose between MIT, Harvard, and Stanford, three very different universities). On the other hand, you use “among” when you are talking about things that aren’t distinct items or individuals (e.g. She chose among the top universities around the world).